TV news today reported on a train derailment in Burnaby owing to heavy rains and beaver dams. There are no trains in Secret Cove but we do have lots of beaver dams. The beavers have been especially busy this fall. 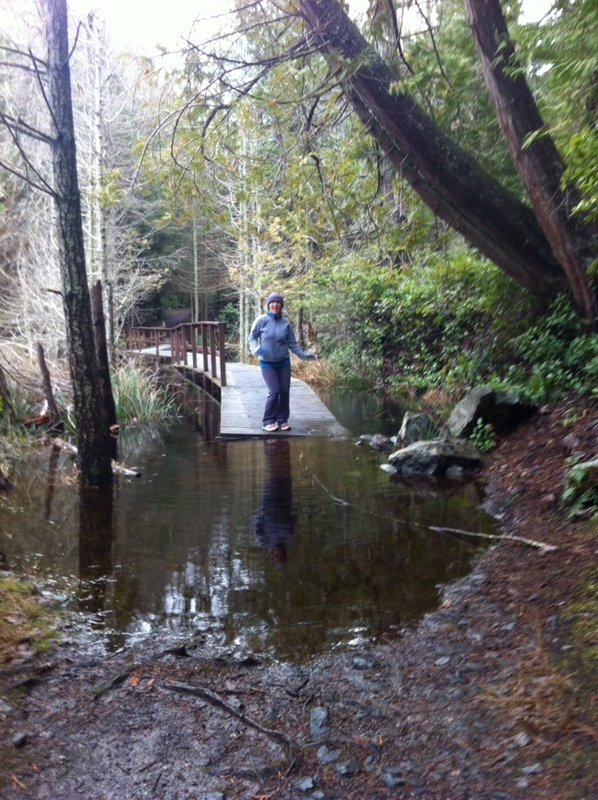 With the heavy rain this weekend much of the trail and walkway system in Smugglers Cove (Provincial Park) is under water. The walk in gets a lot more interesting.